Here we are, oh sunny day, the latest installment of my “5 Questions” interview series with luminaries of the children’s book world. Here comes my friend, Matt McElligott! 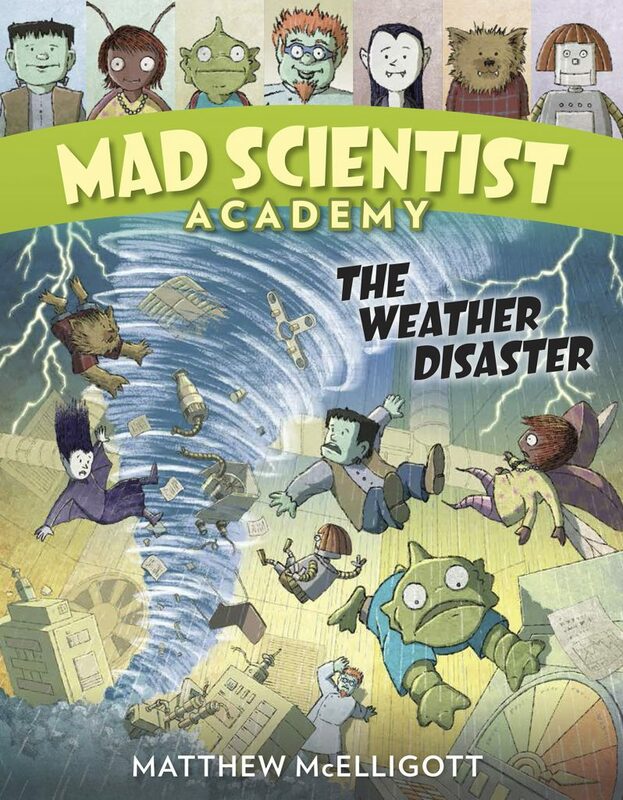 Matt, I’m looking at the second book in your “Mad Scientist Academy” series, The Weather Disaster. And all I can think is, Boy that looks like a lot of work! Seriously, I’m exhausted. So I’m just going to take a brief nap and, yawn, we’ll pick this up later. Zzzzzzzzzz. You’re not the first person to tell me my books put them to sleep! Okay, I’m up! For readers who might be unfamiliar with this science series, you are essentially taking a nonfiction topic and giving it a fresh, contemporary spin. 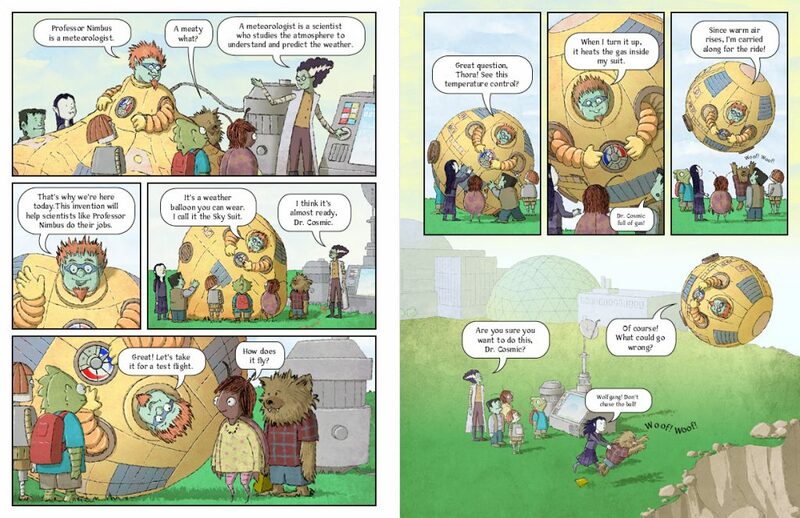 All told in an appealing format that’s a hybrid between the graphic novel and traditional picture book. As someone who has admired your work for many years, it strikes me that this series –- which is spectacular in every way — represents a culmination for you, a distillation of your many and varied talents. I don’t think you could have done this ten years ago. All of your past work informs this one book: your intellectual curiosity, your love of comic books and old Hollywood movies, your silliness, your experience with book design and storytelling, plus the signature McElligott sense of what kids genuinely like. How did this series begin? The sentiment is much, much appreciated. And I agree completely -– I don’t think I could have done this ten years ago, and I’m not sure I could even do it now without the tremendous help of my wife Christy. It really is a lot of work. Not only does the story have to be compelling, but it also has to deliver a lot of real science along the way, hopefully while still captivating the reader. Finding that balance has been, by far, the trickiest part of putting these together, but I can honestly say I enjoy every part of it. The idea began with a suggestion from my longtime editor, Emily Easton, who felt that there was a real opportunity for a new series that could make science accessible for kids. We spent about a year and a half trying out various ideas and approaches until it finally started to gel. The graphic novel format came from both my love of classic comics and a practical need to fit all the information into thirty-two pages. There must have been a point, early on, when you thought to yourself, “Uh-oh.” Just that pure terror of, What have I gotten myself into? Can I actually do it? Boy, you nailed it with that question. The feeling of terror hit me a couple weeks into the first book and has lingered ever since. There are roughly a hundred illustrations in each book, and the thought of how long it will take to draw the next book keeps me up at night. I’ll spend about a year, maybe a little more, researching, plotting, sketching, and illustrating pretty intensely until it’s finished. But the good thing is that I’m not in it alone. I happen to be married to a very talented woman who’s a whiz at both researching and drawing (we met thirty years ago in art school) and we can divide up many of the tasks to keep everything manageable. Three books in, and we’re still married! Oh, no. I make most of it up. (That part about how rain forms? That totally came to me in a dream.) Seriously, there’s a ton of research for each book, and meeting real scientists has been one of my favorite parts. 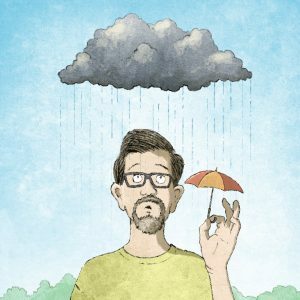 For The Weather Disaster I worked with Jason Gough, and for the Dinosaur Disaster I worked with a man named Carl Mehling, a paleontologist who’s in charge of all 32,000 fossils at the American Museum of Natural History. For the upcoming Space Disaster, I worked with the astronomer Bob Berman, who you may know from his work on the radio station WAMC. All of these scientists were so helpful, patient, and fully willing to engage my strange questions. (“Say, Jason, if you needed to create a tornado from scratch, how would you do it?”) Best of all, they embodied a perfect combination of science and imagination, and I was really lucky to find them. I’ve posted interviews with Carl and Jason on my website, and will be posting more soon. Matt, you and I are both active with school visits. And I always recommend you to media specialists. The funny thing is, they usually say, “Yeah, he was already here.” At which point I figure out that I’ve been invited because they are working their way down, down, down the list. Not that I mind playing second fiddle –- I’m happy to be in the orchestra! But talk to me a little about your experience in schools. I mean, there you are at home, slaving away on these impossible books. Then you get out of the house! What do you hope to achieve when you visit a school? And also, if you don’t mind me cobbling questions together, what do you think that you get out of your school visits? I get paid in Ramen Noodles and old Lotto tickets. I think that’s a big part of my appeal. On school visits, Matt always shows readers the joy of . 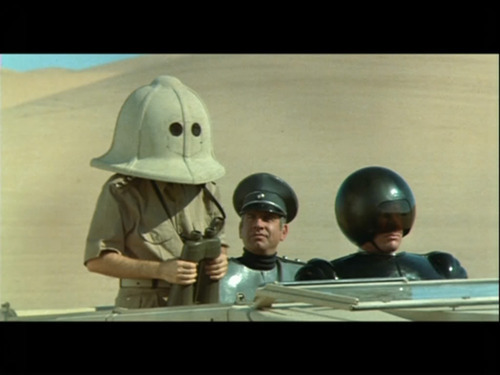 . . the thrill of . . . nevermind! As for what I get out of the visits, I’m not sure anyone’s ever asked me that. I know I get to share my love of books –- that’s a big part –- and get to meet future authors and illustrators, as well as terrific librarians and teachers. But I also get to represent something bigger than myself, a duty I take very seriously. When a school hosts an author, and when they present the author/illustrator as someone of importance, the school is sending a message about the value of the arts that kids are almost certainly not getting anywhere else. I’m honored to be that representative, if even for just a day. I like that, we are ambassadors from a distant land. I’ve never been comfortable with the “rock star” aspect of being a visiting author. Sometimes we get put on a pedestal. But when you view it as beyond the self, that we are representing something bigger than “Jimmy” or “Matt,” then it makes more sense. Ambassadors is such a great word for it. We may be the only authors some of those kids will ever meet. If we’re funny, if we’re engaging, if it shows that we love our jobs, they’ll assume that all authors are that way. Those kids will come away with the idea that reading and making books is something they want to do too. I recall Tedd Arnold telling me in an interview that he enjoyed checking in with their “squirmy reality.” That phrase always stuck with me. 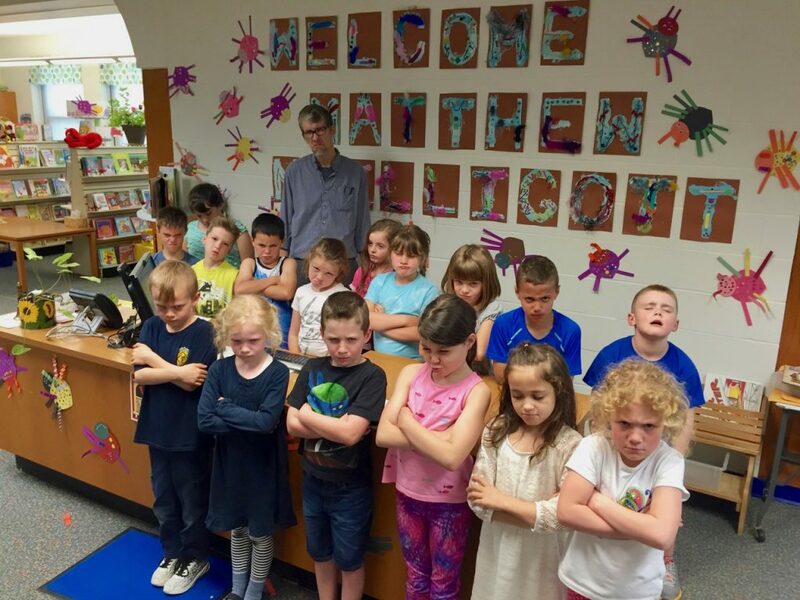 You get to look at those faces, and interact, and reconnect with the fact that, hey, a second grader in October is still really, really young. The visits land us in their world. You know what? It’s like going on a safari! You drive the jeep, Matt. I’ll grab the pith helmets! Exactly! It’s field research, and we can learn so much from studying the indigenous population of the elementary school. You’ve tackled dinosaurs, you’ve wrestled with weather. What’s your next topic? I can tell you that next up is The Solar System Disaster, out next summer. After that, maybe the ocean? Or maybe the science of belly-button lint. It’s probably between those two. Well, I think we’ve all learned something today. Every book in this series is a disaster. MATT McELLIGOTT keeps a terrific website which you can visit by clicking, madly, here. AND IF YOU’D LIKE TO READ PREVIOUS “5 Questions” interviews, thank you — just click on the names below. Coming next week: Jessica Olien and her blobfish! And after that: London Ladd, Matthew Cordell, Lizzy Rockwell, Nancy Castaldo, Matthew Phelan, and more (but not necessarily in that order).